The tour was really seamless. We were picked up from our hotel and got dropped off after the tour. We were amazed by the places and the different UNESCO world heritage sites. It was very informative and the tour guide - Ram provided insightful information and gave us historical facts about Nepal. Overall, the tour was really worth it! Highly recommended tour for travelers planning to explore the beauty of Kathmandu. Spend a day exploring Kathmandu Valley's UNESCO-listed World Heritage Sites. 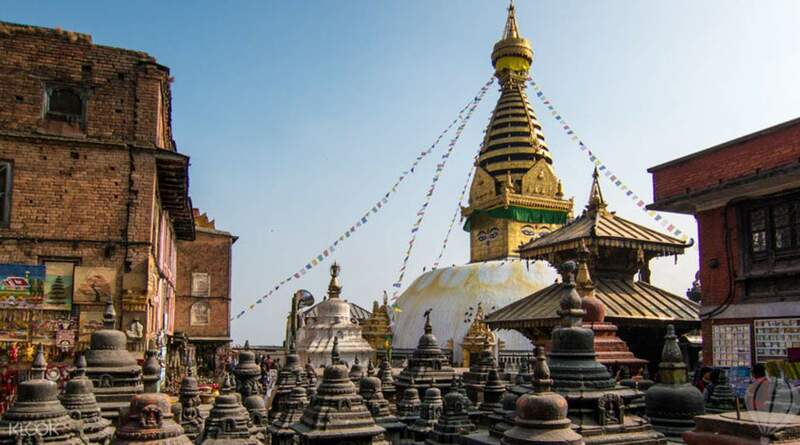 Explore Durbar Square, the olden kingdom throne of Kathmandu's rulers, before visiting the most important Buddhist shrine in all of Nepal: Swayambhunath Stupa, also known as the Monkey Temple. You'll also get to see Boudhanath, the largest stupa in Nepal and the holiest Tibetan Buddhist Temple outside Tibet. 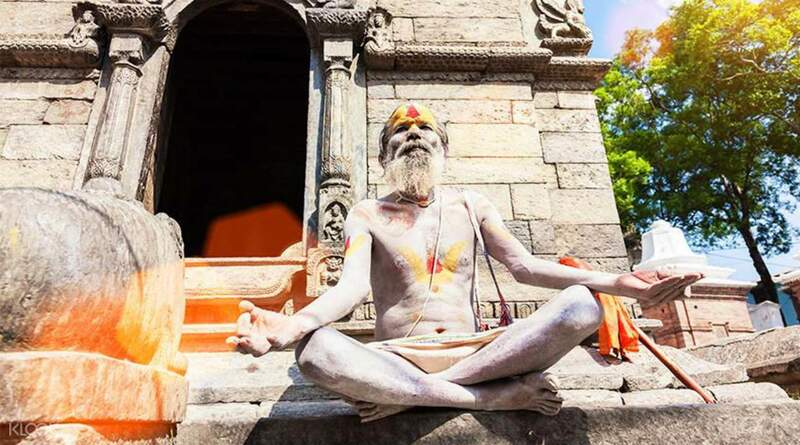 And for those who would like to delve deeper into local cultures, Pashupatinath is a not-to-be-missed as one of the most important Hindu Temples in Nepal, located near the Bagmati river. At the gates, plateaus are made that are used for the open air cremations that take place on a daily basis. You'll get better acquainted with the nation's rich heritage in this day trip, spanning the valley's ancient cities, as you wade through their numerous cultural and religious monuments. The tour was really seamless. We were picked up from our hotel and got dropped off after the tour. We were amazed by the places and the different UNESCO world heritage sites. It was very informative and the tour guide - Ram provided insightful information and gave us historical facts about Nepal. Overall, the tour was really worth it! Highly recommended tour for travelers planning to explore the beauty of Kathmandu. The tour was really seamless. We were picked up from our hotel and got dropped off after the tour. We were amazed by the places and the different UNESCO world heritage sites. It was very informative and the tour guide - Ram provided insightful information and gave us historical facts about Nepal. Overall, the tour was really worth it! Highly recommended tour for travelers planning to explore the beauty of Kathmandu. One of the best klook activities that we availed. Ram was an excellent tour guide as we have learned so many things about the 4 UNESCO world heritage sites that we visited. Great job! One of the best klook activities that we availed. Ram was an excellent tour guide as we have learned so many things about the 4 UNESCO world heritage sites that we visited. Great job! Kathmandu was quite dusty at this time of the year, so you may need to wear a mask in case you’re sensitive/allergic to dust. The tour indicates light refreshments will be served, but this didn’t happen. For a Filipino citizen (or probably any non-SAARC citizen), the entrance fees (which are not inclusive of the tour price) are as follows: Swayambhunath - 200 NPR Kathmandu Durbar Square - 1000 NPR Boudhanath - 400 NPR Pashupatinath Temple - 1000 NPR Lunch wasn’t also inclusive as stated in the tour, but I didn’t expect I’d also shoulder the tour guide’s lunch (it’s OK for me though – just letting others know this is the case). 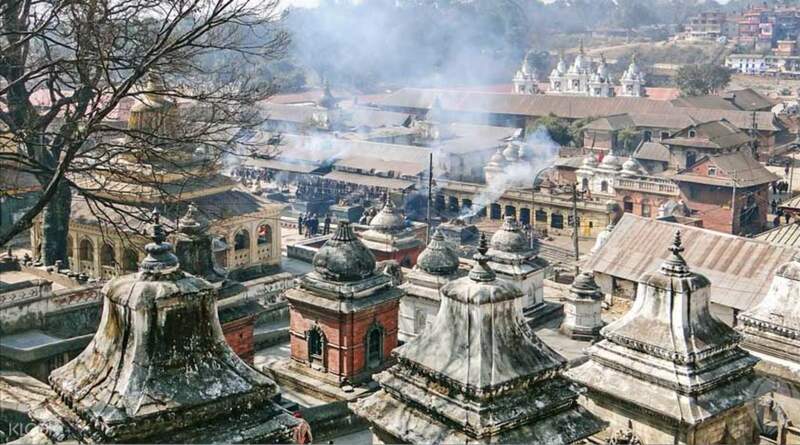 Pashupatinath shouldn’t be just an optional destination. It’s actually the part of the tour that I realized a lot of fascinating things I didn’t know about Hinduism. That’s all thanks to my tour guide for the info. 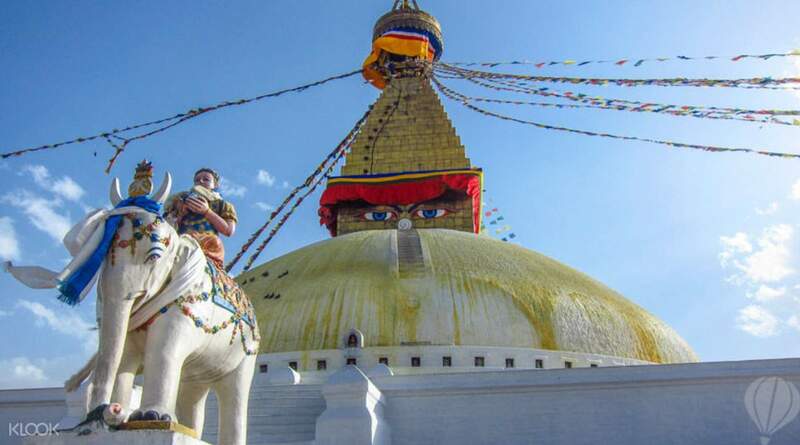 In general, this is a nice tour to get to know Kathmandu in details. Kathmandu was quite dusty at this time of the year, so you may need to wear a mask in case you’re sensitive/allergic to dust. The tour indicates light refreshments will be served, but this didn’t happen. For a Filipino citizen (or probably any non-SAARC citizen), the entrance fees (which are not inclusive of the tour price) are as follows: Swayambhunath - 200 NPR Kathmandu Durbar Square - 1000 NPR Boudhanath - 400 NPR Pashupatinath Temple - 1000 NPR Lunch wasn’t also inclusive as stated in the tour, but I didn’t expect I’d also shoulder the tour guide’s lunch (it’s OK for me though – just letting others know this is the case). Pashupatinath shouldn’t be just an optional destination. It’s actually the part of the tour that I realized a lot of fascinating things I didn’t know about Hinduism. That’s all thanks to my tour guide for the info. In general, this is a nice tour to get to know Kathmandu in details. Everything is very good! The trip was amazing! The tour guide showed us many things more then the itinerary! He was kind and brilliant! Everything is very good! The trip was amazing! The tour guide showed us many things more then the itinerary! He was kind and brilliant! Ram is responsive and guided us well for the 4 places. Car is comfortable and clean (by Nepal standards). No hard selling of any sort. Ram is passionate about what he does. I enjoyed the tour very much. One thing for other travellers is that you need to walk alot for this guide, so be well prepared! Ram is responsive and guided us well for the 4 places. Car is comfortable and clean (by Nepal standards). No hard selling of any sort. Ram is passionate about what he does. I enjoyed the tour very much. One thing for other travellers is that you need to walk alot for this guide, so be well prepared! Klook mentioned here that I have the options to be picked up by a rickshaw before 830am to the meeting place but what happened is that I was droped off to Hyatt Hotel Kathmandu to wait for the guide. it's already 10 am when they arrived. ive waited for 1.5 hours without any information or heads up even a message or call 1 day before that confirming my tour. other tours I have booked with klook before is that they always inform the customer by message or email 1 day or a night before the activity. I thought that the tour will not push through but at last after waiting 1.5 hours, the guide picked us up. The tour guide Sam was nice and friendly. he told us that he's really sorry because they had difficulty in getting a vehicle for our transportation. Klook mentioned here that I have the options to be picked up by a rickshaw before 830am to the meeting place but what happened is that I was droped off to Hyatt Hotel Kathmandu to wait for the guide. it's already 10 am when they arrived. ive waited for 1.5 hours without any information or heads up even a message or call 1 day before that confirming my tour. other tours I have booked with klook before is that they always inform the customer by message or email 1 day or a night before the activity. I thought that the tour will not push through but at last after waiting 1.5 hours, the guide picked us up. The tour guide Sam was nice and friendly. he told us that he's really sorry because they had difficulty in getting a vehicle for our transportation. Thank you for raising your concern to us. We sincerely regret to hear that you had unsatisfactory experience and we take your feedback extremely seriously. Your case has been noted and passed to the local operator for further improvement. Your understanding will be much appreciated. Thank you for raising your concern to us. We sincerely regret to hear that you had unsatisfactory experience and we take your feedback extremely seriously. Your case has been noted and passed to the local operator for further improvement. Your understanding will be much appreciated. Fascinating look at the important temples at Kathmandu. 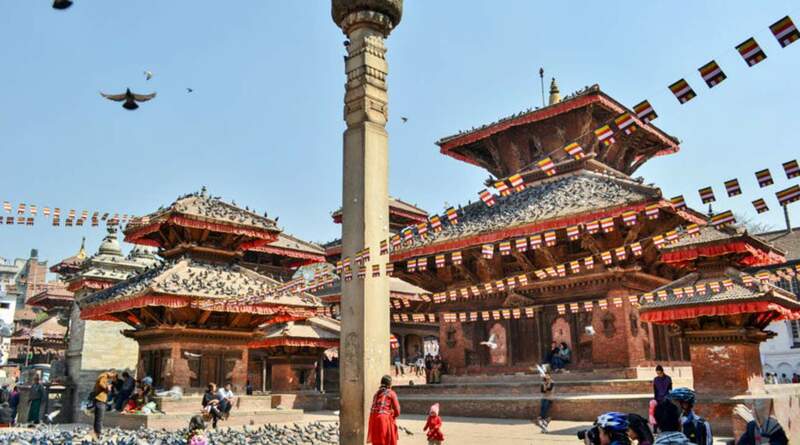 Although Durbar Square has been impacted by the many earthquakes that the country has suffered, it is still worthwhile to explore the place for its strong historical significance. Fascinating look at the important temples at Kathmandu. Although Durbar Square has been impacted by the many earthquakes that the country has suffered, it is still worthwhile to explore the place for its strong historical significance. Highlight of this tour was that boudhanath stupa. Had lunch there, and bought some souvenirs that I was not able to buy elsewhere (cute little Nepalese traditional costumes!) Our guide, ram brought us up to eat at a cafe which had a really good view of the stupa. (Look at my picture!) We also went to Durbar Square. During our time there, our guide Ram shared lots of insights and stories (learnt about the living goddess!). Also, I bought a traditional Nepalese chess game there and it was interesting. Overall, a good trip! Highlight of this tour was that boudhanath stupa. Had lunch there, and bought some souvenirs that I was not able to buy elsewhere (cute little Nepalese traditional costumes!) Our guide, ram brought us up to eat at a cafe which had a really good view of the stupa. (Look at my picture!) We also went to Durbar Square. During our time there, our guide Ram shared lots of insights and stories (learnt about the living goddess!). Also, I bought a traditional Nepalese chess game there and it was interesting. Overall, a good trip!